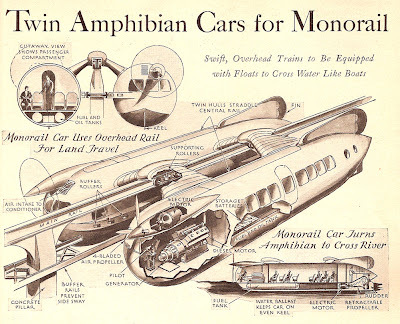 Just seems odd: why would it plunge into rivers? Why not just go over them on a bridge? I had the exact same quesion. Maybe ships needed to navigate the river above the tracks? I'm convinced my local transit authority would jump all over this idea. 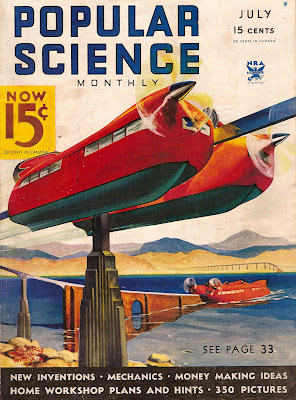 my favorite thing about the future that never came, but should have, is the abundance of monorails. not just for zoos and amusement parks, monorails and do anything. in this case go underwater.